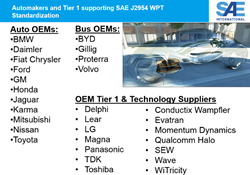 SAE International published “SAE TIR J2954 Wireless Power Transfer for Light-Duty Plug-In/ Electric Vehicles and Alignment Methodology,” a milestone industry guideline to establish wireless power transfer between infrastructure, vehicle suppliers and OEMs for plug-in electric and electric vehicles (PH/EV). 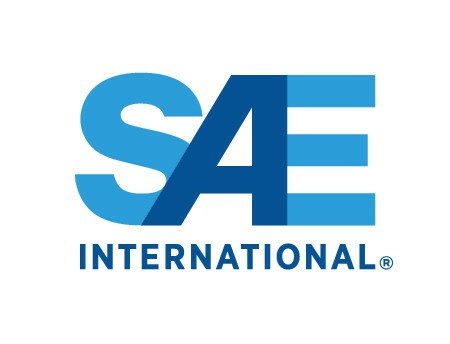 SAE International published “SAE TIR J2954 Wireless Power Transfer for Light-Duty Plug-In/ Electric Vehicles and Alignment Methodology,” a milestone industry guideline to establish wireless power transfer between infrastructure, vehicle suppliers and OEMs for plug-in electric and electric vehicles (PH/EV). The document is available for purchase from the SAE website (see below). SAE TIR J2954 is the first step in standardization and was developed by SAE International’s PH/EV Wireless Power Transfer committee, established in 2010. Jesse Schneider serves as the Chair of SAE International’s Wireless Power Transfer committee and Fuel Cell, Electric Vehicle and Standards Development Manager at BMW. Many automakers and suppliers are also supporting SAE TIR J2954 (see attached figure) Wireless Power Transfer standardization. TIR J2954 WPT compatible systems have been built by automakers and suppliers and are currently under test with a cross-industry team with the US Department of Energy, Idaho and Argonne National Labs. The test data, first in the bench and later in the vehicle, will be used later to finalize as a Standard to support the roll out of this technology.